Search Box is the basic but a necessary part of a website. They're user convenient and help you in increasing your website usability. They help your readers to navigate throughout your blog more efficiently. You would see that every blogspot blogger has different stylish custom search box widget matching their template design because, they were not only help users to find the solution of their problems more easily but also add a professional look to your blog. Whereas Web crawlers like Google can crawl your entire site easily to index all of your posts and pages, visitors have only access to the links that are in front of them. You may have hundreds or more posts/pages for people to read. You may have a different category, labels, tag, related posts, etc. listed on each of your pages, but you cannot provide all of your data in a single page. For people to find what they are looking for, they need to be able to search through your entire content quickly and easily. Whichever page a visitor lands on, they can search for what they want. This allows people to get access to some of your hidden content that would take much longer to find by clicking through countless pages or posts. The easier it is for people to navigate your whole blog, the more likely they will stay and visit again as they can switch away to another, increasing your bounce rate. Just adding a Search Bar is not enough, it should always be ready to help customers and reliable according to the theme of your blog. 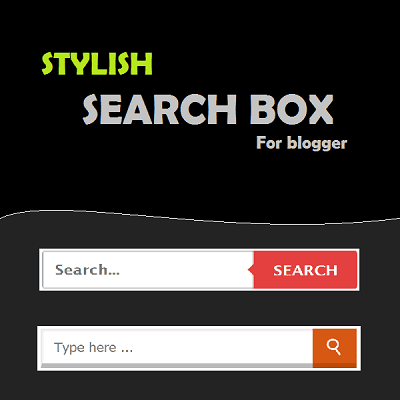 Blogger also provides Officially Simple widget for it, but that doesn't provide the professional, stylish look to your blog, but you can use CSS to Style blogspot official search box widget. If your old Search box is not working properly and you want to replace it with beautiful one don't worry, just pick up one of the following and follow the steps by step instructions below. The look of the design is up to you, you can also edit the CSS according to your blog needs. 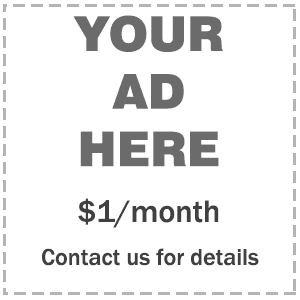 Add professional looks to your website. Provide basic benefits to customers. Stylish Active,hover and focus effects. Easy customization from CSS styles. Step 1. Login to your Blogger account, then go to Layout > click on the 'Add a gadget' link on the left side. - Change the value="8" for total numbers of posts per page. Eg value="12". Note: Make sure max-results value matches with your post limit on homepage. Don't forget to Subscribe and Join 2278 other subscribers for direct updates in your inbox. Thanks Hopey. Glad you liked it. Code of the first Search bar is fine and taking input successfully. Try to refresh your browser (clear cache and cookies) or use any other browser. If problem still not resolved then post your blog address. we will check that out shortly. bro my search box is not working? Please mention your blog address or CONTACT ME via mail so i can have a look over your search box. it really helpful thanks . Which search box and what type of color? Thanks Helpfull for new bloggers. Btw i'm looking for featured posts widget is there any working tutorials out there ? Not yet, but soon, until stay tuned and happy blogging. How can I create a search bar that brings up a list of links to posts rather than a set of full posts? I'm already working on it. Stay tuned! I am working on it. Stay tuned! Hi, I just installed the search box and it works just like the blogger search box, which is great, but my problem is that I have pages that I need to be searchable and it is not searching them and pulling up any results. Do you think you could make it search the pages as well as the blog posts? Maybe in list form like the google search engine? Really the main need is for the ability to search pages. Thank you. I really love the way the search box looks with my design. Yes! Blogger search box doesn't extract data from blog pages. But, If you really want to have a search box that searches data from blog posts as well as from blog pages then you can use Google Custom Search Engine just like mine. We are not trying to have our blogs search the Google search engine..
this won't give you results from google search engine. GOOGLE CUSTOM SEARCH ENGINE is a dedicated search engine which will only search your blog and not the whole web. can the search automatically show results sort by date? thanks for the great search box! when use it, it is working but an unwanted text line appear ..
Can you send a link? So I can have a look. How do I get it to work now? I get the same search every time no matter what I search for on my page. "Showing posts sorted by relevance for query "". Sort by date Show all posts"
Blogger search widget analyse the whole content of the pages to display results. Maybe you have same search string in that posts that's why you are getting same results for different queries. Every comment is appreciated but keep in mind that comments are moderated and may take some time to appear. All spam comments will be deleted, including mentioning your blog. Thanks for understanding!